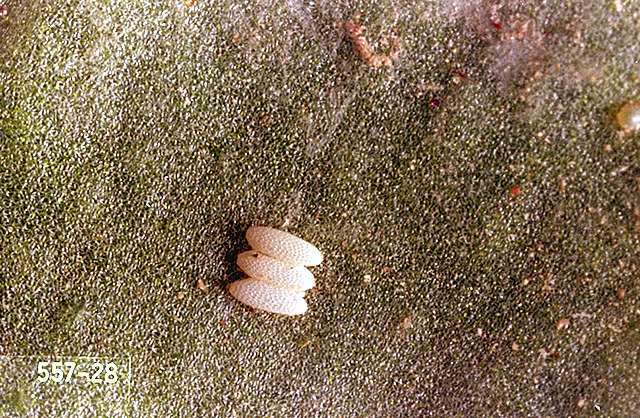 Pest description and crop damage Legless maggots, 0.5 inch long when mature, feed between the upper and lower leaf surfaces, leaving irregular transparent windows, blotches, and winding tunnels. 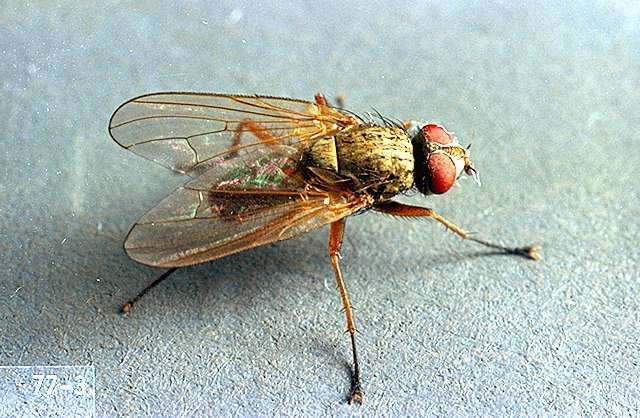 Historically a common pest that rarely reached economically damaging levels, it is now an increasingly important pest in some local areas. Damage is of more concern early in the season during stand establishment; older plants should be able to tolerate more leafminer damage. Scouting and thresholds No formal economic thresholds exist for leafminer insecticide treatment decisions. 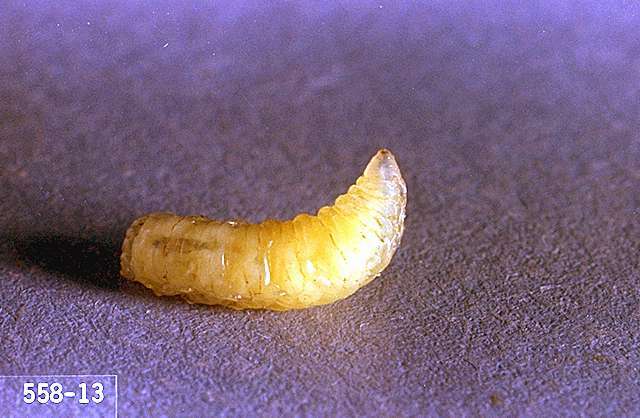 Larvae often are highly parasitized. We do not yet know enough about arthropod natural enemies to suggest practical ways of manipulating and enhancing their effects other than avoiding any unnecessary insecticide applications. aldicarb (AgLogic 15G, AgLogic 15GG) at 2.1 to 3 lb ai/a. PHI 90 days, 120 days if tops are fed to livestock. Do not use tops as food for humans. Do not make more than one at-planting and two postemergence applications per crop. Do not exceed a total of 4.95 lb ai/a per season. Immediately deep-disk any spills at row ends or elsewhere to ensure the granules are covered with a layer of soil. Postemergence-Apply granules to both sides of plant row and immediately work into the soil or cover with soil, or, for furrow irrigation, side-dress granules 4 to 8 inches to water furrow side of plant row and at furrow depth. Irrigate soon after application. Apply within 60 days after planting. Do not make any postemergence applications if 4.05 to 4.95 lb ai/a was applied at planting or within 1 week prior to planting. chlorpyrifos (Eraser, Govern 4E, Lorsban 4E, Lorsban 75WG, Nufos 4E, Pilot 4E, Warhawk, Yuma 4E, and others) at 0.5 lb ai/a broadcast application -or- Lorsban Advanced, Vulcan at 0.469 lb ai/a broadcast application. PHI 30 days. Do not let livestock graze in treated areas or harvest treated beet tops as feed for meat or dairy animals within 30 days after last treatment. chlorpyrifos (Eraser, Govern 4E, Lorsban 4E, Lorsban 75WG, Nufos 4E, Pilot 4E, Warhawk, Whirlwind, Yuma 4E, and others) at 0.335 lb ai/a band application -or- Lorsban Advanced, Vulcan at 0.313 lb ai/a band application. Apply as 5- to 7-inch band, lightly incorporated mechanically or with irrigation. mineral oil (470 Supreme Spray Oil, BioCover, JMS Stylet Oil, SunSpray, and others)-See label for rates. Some formulations are OMRI-listed for organic use. phorate- (Thimet 20G and others)-Apply at planting 0.68 to 0.9 oz ai/1,000 row ft. PHI 30 days. Do not feed tops or silage to dairy cattle. Do not place granules in direct contact with seed. Drill to side of seed or band over seed. No more than one application per cropping season. potassium salts of fatty acids (M-Pede)-See label for rates. Apply only in tank mix with labeled companion insecticide; see label about tank mixing. PHI 0 days. pyrethrins and piperonyl butoxide (Pyronyl Crop Spray and Pyrenone)-See label for rates. (Entrust, Entrust SC) at 0.07 to 0.16 lb ai/a. Do not apply fewer than 7 days apart. Do not apply more than four times per crop or apply more than 0.33 lb ai/a per crop. PHI 3 days. OMRI-listed for organic use. (Radiant SC) at 0.05 to 0.0625 lb ai/a. For suppression only. Do not apply more than 0.25 lb ai/a per crop. PHI 7 days. (Success) at 0.025 to 0.05 lb ai/a. Do not apply more than four times per crop or apply more than 0.45 lb ai/a per crop. PHI 3 days. 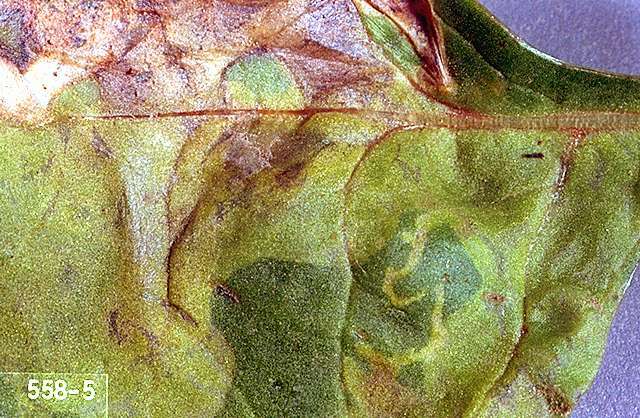 Use of a penetrating surfactant oil is critical for optimal control of leafminers. (Mustang) at 0.028 to 0.05 lb ai/a. PHI 50 days. Adult control only. Do not apply more than 0.15 lb ai/a per season (at planting/foliar applications). Apply with ground or air equipment using enough water to fully cover foliage. (Mustang Maxx) at 0.014 to 0.025 lb ai/a. 50 day PHI for tops or roots. Adult control only. Do not apply more than 0.075 lb ai/a per season. REI 12 hr. Apply by air or ground using minimum of 2 gal per acre by air and 10 gal per acre by ground.